Phone manufacturer HTC began selling Friday its latest smartphone, a gold-plated HTC One (M8) model, across the United Arab Emirates (UAE) and Saudi Arabia, testing this way the market for a “real gold” version of the device. The pure gold model is expected by the end of April or early next month, and while no official price was given (it never is), it was disclosed that the Middle East market would have “global exclusivity” to the gold model for the first few weeks after the launch. 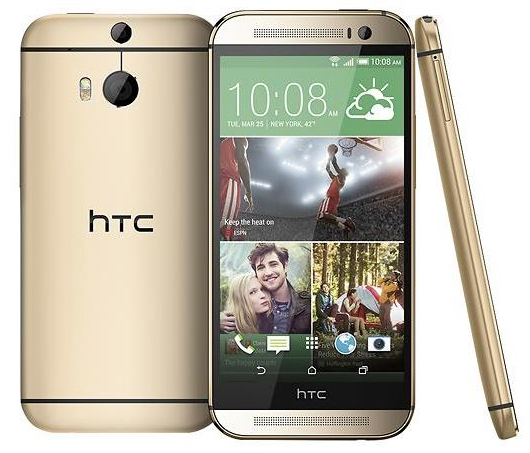 The HTC One M8 features a full metal body and number of innovations including dual rear facing camera for capturing the depth of the image and a 5MP front-facing camera as well as introducing a new version of its Android UI, Sense 6. The M8 is the first phone to support 128GB SD card. The current phones in the market support cards of up to 64GB.